Thinking of hosting an “open bar” special at your restaurant, bar or club simply as a promotion? Think again! The Boston Herald reported after the New Year that several Boston bars and entertainment venues were cited by Boston Police on New Year’s Eve for having open bars at their celebration, in violation of Massachusetts Liquor Law. Hundreds of New Year’s Eve revelers had their bubbles burst by Hub cops who raided a slew of open bar parties — including an alleged illegal throwdown at a Fenway art gallery — resulting in a flurry of violations for venue owners. According to the Massachusetts Alcoholic Beverages Control Commision (ABCC), state liquor law allows open bars, but only at private events. In a 2009 advisory the ABCC defined the regulations governing what is and is not a private event. 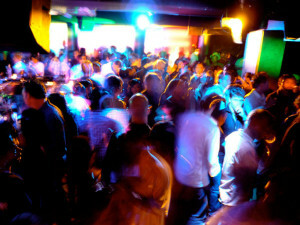 To qualify as a private event, the license holder hosting the event must be able to demonstrate to authorities that the private function has a host, that access to the private function is restricted to invited guests, that invited guests are not charged indirectly or directly, that the host is the only individual responsible for payment to the licensee, that the private function was not publicly advertised and that written records containing the guest list exist and are available for inspection by the licensing authorities. The Massachusetts Happy Hour regulation also prohibits offering or delivering any free drinks to any person or group of persons; delivering more than two drinks to one person at one time; selling, offering to sell or delivering to any person or group of persons any drinks at a price less than the price regularly charged for such drinks during the same calendar week, except at private functions not open to the public; selling, offering to sell or delivering to any person an unlimited number of drinks during any set period of time for a fixed price, (except at private functions not open to the public); selling, offering to sell or delivering drinks to any person or group of persons on anyone day at prices less than those charged the general public on that day, (except at private functions not open to the public); selling, offering to sell or delivering malt beverages or mixed drinks by the pitcher except to two or more persons at any one time; increasing the volume of alcoholic beverages contained in a drink without increasing proportionately the price regularly charged for such drink during the same calendar week and; encouraging or permitting, on the licensed premises, any game or contest, which involves drinking or the awarding of drinks as, prizes. 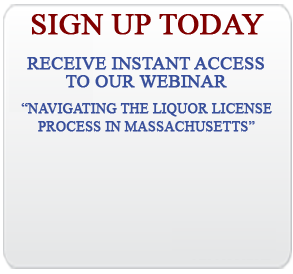 How do you feel about the Open Bar provision of the Massachusetts “Happy Hour” regulation?